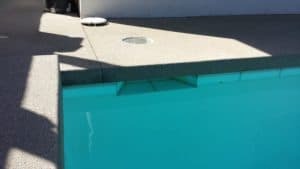 Licensed Pool Service Contractor - Calif - Pool Heaven Inc. Most or all swimming pools will need repairs on their pool equipment and pool system at some point in time. It is good for homeowners to know when and why it is good to hire a licensed pool service contractor. Before we get into the legal reasons, let’s talk about why it is good to hire a state licensed contractor. The Contractor’s License Board requires all pool service contractors to own a bond which provides security to a homeowner for faulty work. The CSLB does background checks and requires a contractor to own a certain amount of value of capital. The CSLB requires experience in the class of license that the contractor is pursuing. A licensed contractor cannot charge more than a 10% down payment for work to begin. In the event of a dispute, the CSLB will protect the homeowner from illegal or faulty work. It’s very hard to be a fly by night business when your registered with the CSLB, so it is kind of a filter to protect homeowners from possible loss. You do not have to pay the contractor if the work details are not complete according to the written contract. Repairs Over $500 in Value Require A Licensed Pool Service Contractor No Matter Who Supplies Equipment and Materials! While your pool cleaning service may not LEGALLY need a contractor’s license to clean your pool or spa only, anyone who contracts to perform work on a project that is valued at $500.00 or more for combined labor and material costs must be a licensed pool service contractor registered with the California State License Board. You can easily verify the license at the California State License Board online and should always do so. 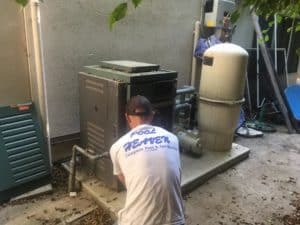 Regarding this $500.00 limit, let’s say that the homeowner buys a motor for $300.00 and gives the unlicensed pool service the motor to install. 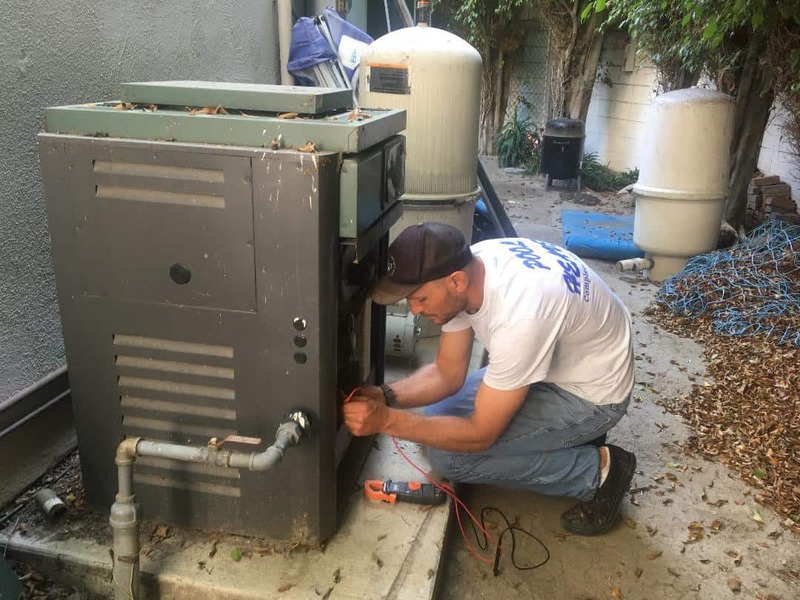 The unlicensed pool service would be acting illegally if the parts and labor supplied by the pool service to complete the job were VALUED over $200. 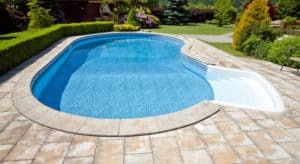 The unlicensed pool service may complete the job if the VALUE of parts, materials, and labor is under $200.00, however. On this example, this is legal activity from this unlicensed pool service, but if the VALUE of the TOTAL JOB was over $500.00, this pool service would be guilty of unlicensed activity. This is to say that if any piece of equipment is valued over $500.00 on it’s own, it would be illegal for an unlicensed contractor to replace regardless who buys the piece of equipment. This is important, because many do not understand that the VALUE is what matters not what the bill from the contractor is. The legal term used is VALUE not amount paid to service provider. Let’s also mention that there are different classes of contractor licenses in California and they classify specialty work under the specific class of license. You need to make sure that your contractor has a contractor’s license for the work they are providing a contract for. 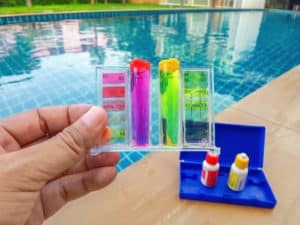 In the swimming pool industry, there is a building license c-53 and a specialty license c-61 with limited classification (pool and spa maintenance license d-35). For instance, we at Pool Heaven hold a c-61 license with the limitation of d-35 or pool and spa maintenance. This specific classification applies to above ground electrical, plumbing, equipment, lights, breakers, etc., but not to underground plumbing, electrical, or construction. We would need a c-53 building license to legally provide replastering, underground plumbing and electrical, and/or other building/construction repairs over $500.00. Be sure and confirm your contractor has the required classification for the work being pursued. Licensed pool service contractors are forced to comply with laws to protect the homeowner and will have more expense with employees that need to have workman’s compensation. You can expect to pay a licensed pool service contractor more than an unlicensed pool service contractor, but what is your piece of mind and swimming pool worth to you? Verify the Contractor’s License Number With the CSLB and Cross Reference Name and Class of Licensee. Now that we know the law, let’s look at how you can protect yourself when it comes to hiring a licensed pool service contractor. For starters, don’t just take their word for it. The internet has made confirmation easier then ever. Go to the CSLB and VERIFY the contractor’s license number of the contractor pursuing your business. Verify his license is classified for the project. For instance, you have a problem if your swimming pool builder has a license classified as elevator repairs! Confirm the license and the contractor pursuing your business have the same name. You don’t want to hire someone using someone else’s contractor’s license or falsifying his status as a licensed pool service contractor. If they have employees, confirm that they have workman’s compensation on their employees who could get hurt. All of this information is easily available at the CSLB under the license number of the contractor. These laws are meant to help homeowners and they are effective if homeowners do their own due diligence. Hiring a licensed pool service contractor can be yet another part of completing your own Pool Heaven at home! 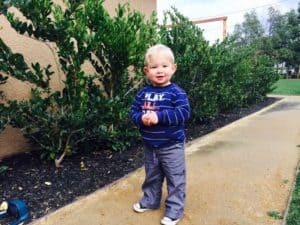 Pingback: Child Drowning Prevention In Huntington Beach - Calif - Pool Heaven Inc.